Shortbread is my thing. It has always been my thing. Hand me a platter of Christmas cookies, and I'll always choose the plain old shortbread. It's just the best. 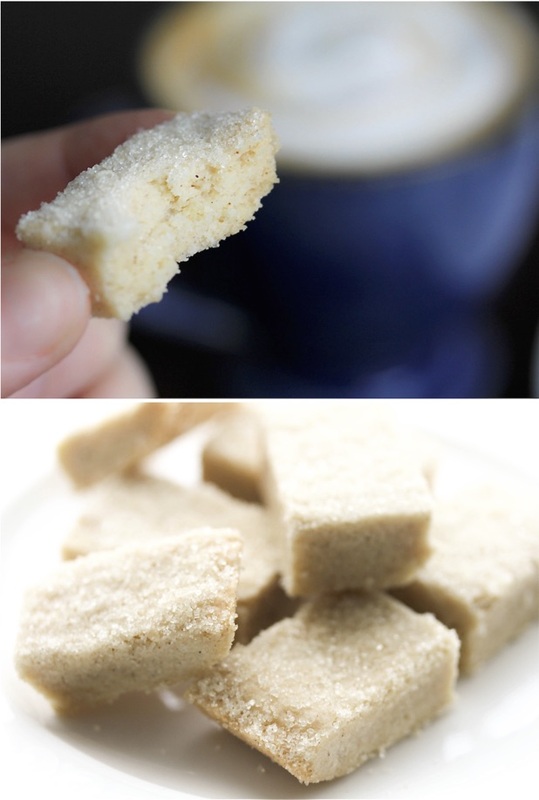 Shortbread's perfection lies in its simplicity. Well, that's not entirely true... who are we kidding? It's perfection lies in it's butter content. Every year around this time, I start baking shortbread. I revisit favourite old recipes (like this one and this one), and I always try a few new ones too... just to make sure I'm not missing out on anything spectacular. 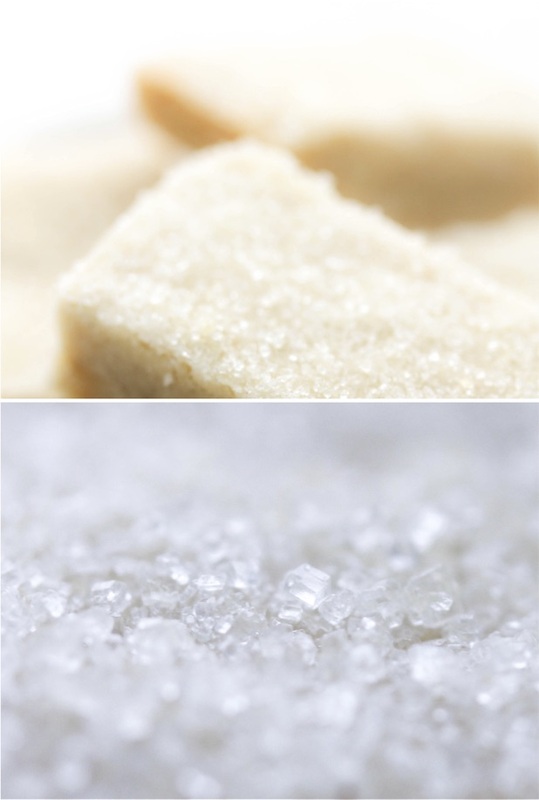 There are literally millions of shortbread recipes out there... some make a crispier, snappier cookie (typically made with rice flour), others have more of a sandy texture (the French sablés), while others are softer, more melt-in-your-mouth kind of thing (typically made with cornstarch). And you know what? I love them all. I truly do. 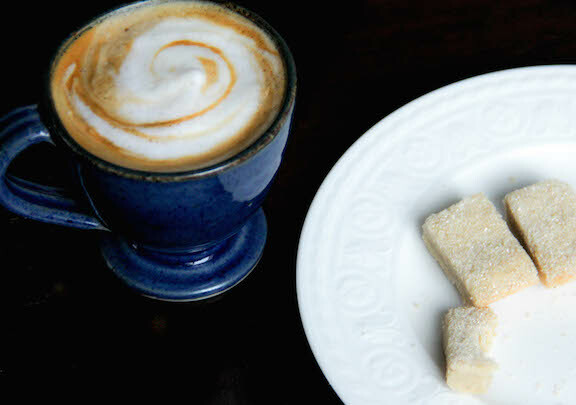 Give me a coffee and a shortbread cookie and some lightly falling snow, and I will have had a good day. This year I decided to shake things up a bit. I wanted to make a spiced shortbread, but not with your traditional holiday spices... because that's old and boring and overdone at Christmas. I wanted to modernize things. So I used a reliable (and fantastic) shortbread recipe as a base (from San Francisco's Tartine bakery), and I threw at it a bold mix of new holiday spices (cardamom, lots of freshly ground black pepper, ginger & cinnamon)... and the results were otherworldly! 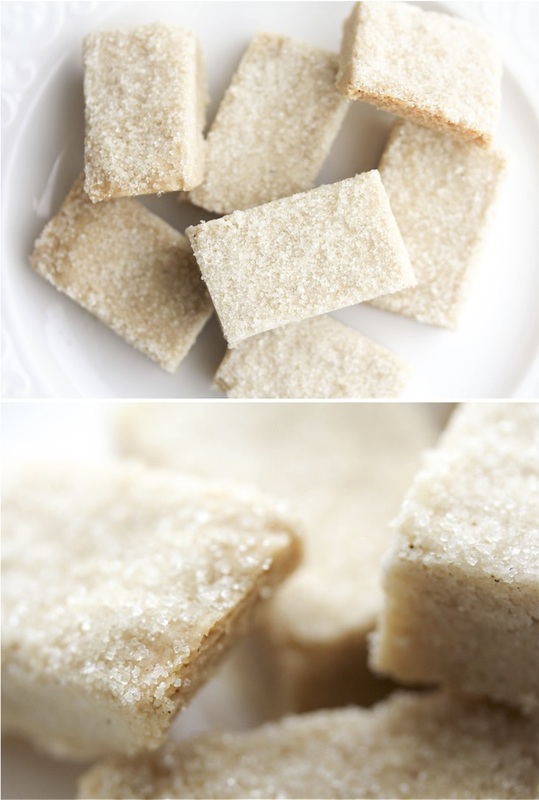 These shortbread cookies are delicately soft and melt in your mouth. They are spiced just enough.... enough to excite your palate and spark your brain to try and decipher the unique blend of flavours, but not overly spiced so as to drown out that fundamental buttery goodness that makes shortbread, well shortbread. So yes, you need to make these. Come on, there's one week left until Christmas. You got this! Preheat oven to 325 degrees F. Butter a 6-by-13-inch glass baking dish. In another bowl, whisk together the flour, cornstarch and spices. Mix the flour mixture into the butter until a smooth dough forms. Press the dough evenly into the prepared baking dish (to max 2/3 inch thickness). Bake until lightly golden, about 30 minutes. 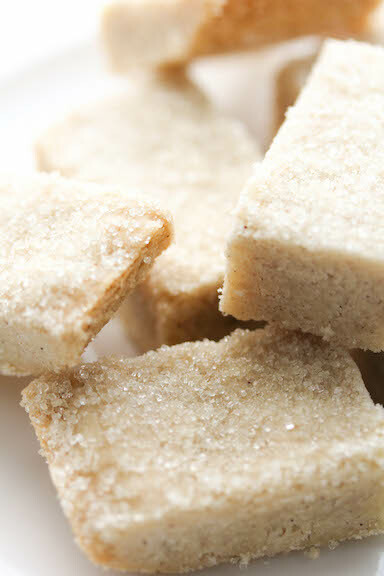 Remove shortbread from the oven and sprinkle the additional 1/4 cup of granulated sugar on top (tilt the dish to spread it evenly around), then allow the shortbread to cool in it's baking dish for about 5 minutes before slicing. While the shortbread is still warm, use a sharp knife to slice into rectangles (or squares), but leave them in their baking dish to cool completely before removing them with a thin offset spatula. Cookies keep in an airtight container for up to 2 weeks. Great writing. Nice work. I love your passion for shortbread! I hope to sample some this Christmas.